Please let us know how you like "Become A Better Baker" and what we could do to make it more useful for you. Visit us on Facebook or click on the Contact Us tab and let us know how we're doing. 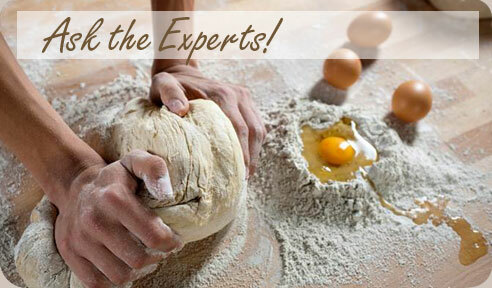 At "Become A Better Baker", our goal is to help bakers of all skill levels and ages bake better and have fun doing it. Whether you have never baked before or are an experienced baker, you will find tips, techniques, activities and recipes that are tailored for you. Our team of experienced bakers from the ACH Food Companies Test Kitchens are dedicated to sharing our passion for baking and helping everyone pursue their passion to Become A Better Baker. Welcome, and we hope you enjoy! Karo® Corn Syrup is a natural sweetener that is great when used in recipes that call for something sweet, like baked goods, pies, popcorn balls, and in sauces for meat and poultry. Argo® Corn Starch can be used as a thickener for smooth gravies, sauces, glazes and casseroles. It is also a foolproof thickener in pies, puddings, custards and cake fillings. Bakers rely on Fleischmann's® Yeast for premium product quality and performance they can count on - every time they bake. Argo® Baking Powder – brought to you by a trusted name in baking for over 100 years!